Significant progress has been made to tackle stigma surrounding mental health in recent decades, but it still remains a key issue driven by negative associations, experience and language. Through this campaign, Their Royal Highnesses have built on the great work that is already taking place across the country, to ensure that people feel comfortable with their everyday mental wellbeing, feel able to support their friends and families through difficult times, and that stigma no longer prevents people getting the help they need. In April 2017 Heads Together was the charity of the year for the Virgin Money London Marathon which became the first Marathon for Mental Health raising the profile of this important issue and inspiring people to talk about their own mental health for the first time. From Autumn 2017, The Royal Foundation will roll out a range of new mental health programmes to ensure that the right help is available to anyone seeking mental health support, wherever they are and whenever they need it. This will include the development and use of digital technologies to transform signposting to appropriate support and improve the quality and availability of education about mental health. The Foundation will also be developing an instant access text messaging service for people in immediate need and will be supporting schools, employers and the military to implement comprehensive early intervention programmes. How do I become a partner of Heads Together? We are not currently looking to actively partner with any other organisations and currently our work will only be delivered in the UK. If you would like to contact us about something else please leave a message below. Where can I find mental health support? Heads Together is an awareness-raising campaign made up of eight charity partners; we do not directly provide mental health services ourselves. You are welcome to share your story with us below, if an opportunity were to arise to work with you our Communications Team will contact you. We are grateful for you getting in touch, but please be aware we cannot share all stories that are submitted to us or respond to everybody. Please note that we are unable to intervene in any personal or political disputes and communications asking us to do so will receive a standard reply to this effect. How will you use the data you capture on the website? 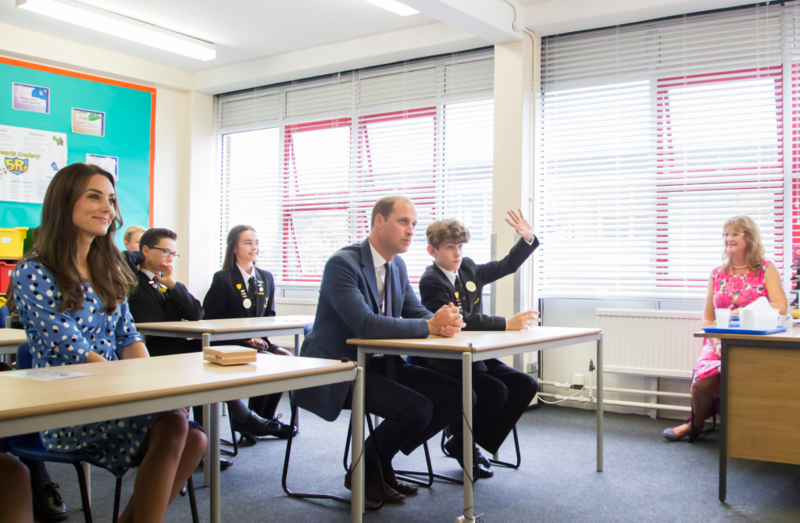 How can I contact The Duke and Duchess of Cambridge and/or Prince Harry? If you would like to contact The Duke and Duchess of Cambridge and Prince Harry please send your letter to Kensington Palace, London, W8 4PU. Please note that Their Royal Highnesses are unable to intervene in any political or personal disputes, and letters asking them to do so will receive a standard reply to this effect. If you would like to invite Their Royal Highnesses to an event please send a written invitation to Kensington Palace, London, W8 4PU. Why is Prince Harry called Prince Henry on your website? His Royal Highness is commonly known as Prince Harry, but when he is being formally addressed he is referred to by his given name – Prince Henry of Wales. Can I run for you in the 2019 Virgin Money London Marathon? Unfortunately we do not have charity places available in the 2019 Virgin Money London Marathon. If you would like to run for mental health please contact Mind, more information here. If you have been lucky enough to receive a Ballot place from the London Marathon we would be delighted for you to join our team. You can do so by setting up your Virgin Money Giving page here. We will then be in touch with further information. If you have any other questions related to the London Marathon please leave your enquiry below. I would like to compete in an event other than the London Marathon for you. Is this possible? We do not have places in any challenge events. If you would like to do a challenge for mental health please select one of our partners to compete for, you can see the places they have here. If you have a ballot place in another event we would encourage you to select one of our charity partners to run for under the Heads Together umbrella. You can find more details here, they will be able to provide fundraising resources and support, which we are currently unable to do. How can I make a donation to Heads Together? Heads Together works in partnership with eight mental health charities, and we would therefore request that you select one of our partner charities to fundraise for under the Heads Together umbrella. You can contact our partner charities here. For BACs details please contact us using the form below. Or if this does not answer your question, please leave a message below. To ensure the right help is available to anyone seeking mental health support wherever they are and whenever they need it, funds raised for Heads Together will be invested in a range of new and innovative projects, and in programmes to meet immediate need. Some of the funding will enable Heads Together to fulfil the demand created by the campaign – our partners have seen on average a 50% increase in demand for their services since Heads Together was launched in May 2016 and this investment will enable them to increase and improve their response. Using digital technology to improve the quality and availability of education about mental health. All of the funding is being used to ensure people can access the right help, in the right place at the right time and the projects will be an exciting new phase of Heads Together. Where can I get Heads Together resources or merchandise? Unfortunately we are only able to provide resources for fundraisers running for Heads Together in the London Marathon. If you would like mental health specific resources please contact the relevant charity partner or visit Mind’s website. Unfortunately Heads Together headbands, t-shirts and jackets are not available to purchase. Heads Together is the name for a partnership of charities – so we don’t take volunteers directly. If you would like to volunteer for a mental health charity please contact our charity partners who all take volunteers, you can find more details here. Please share your request below and we will get back to you.